A Bluetooth-equipped smartphone could be your best friend for audio recording. First, a little history. 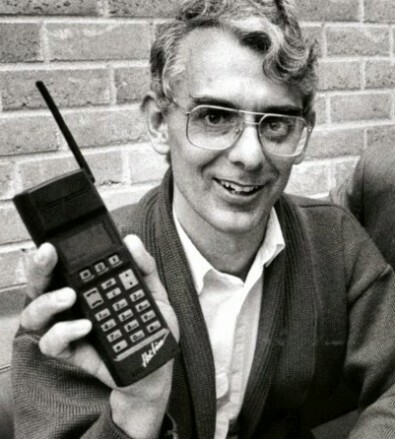 The development of the “short-link” radio technology — later named Bluetooth — was initiated in 1989 by Nils Rydbeck, CTO at Ericsson Mobile in Lund, Sweden and Johan Ullman. The original purpose was to develop wireless headsets. The technology expanded form there. Bluetooth is essentially a wireless technology standard for exchanging data over short distances (using short-wavelength UHF radio waves in the ISM band from 2.400 to 2.485 GHz from fixed and mobile devices. It can also be used for building personal area networks (PANs). It was also conceived as a wireless alternative to RS-232 data cables. The name Bluetooth is an anglicized version of the Scandinavian Blåtand/Blåtann (Old Norse blátǫnn), the epithet of the tenth-century king Harald Bluetooth who united dissonant Danish tribes into a single kingdom. The implication is that Bluetooth unites communication protocols. Over time, Bluetooth has dramatically improved (we all cursed drop-out on early systems) and expanded, moving from consumer to professional applications. The Bluetooth SIG has developed Bluetooth 1 through 5, the latest which was announced on June 16, 2016. Bluetooth 5 features are mainly focused on emerging “Internet of Things” technology. In September, 2017, Apple’s iPhone 8, 8 Plus and iPhone X launched with Bluetooth 5 support, as well as the HomePod, though all devices are backwards compatible. Modern Bluetooth equipment has become very reliable. The old days of frequent dropout and difficult pairing are mostly over. The technology is now reliable enough for certain pro audio applications. JK Audio, a maker of broadcast audio remote equipment, has developed the BlueDriver-F3 ($236.55) and BluePack ($479.75) which allow standard broadcast microphones to be handheld for improved sound quality for smartphones. While there are other wireless mic options, they typically require a separate receiver that plugs into the headset or data jack on the phone. BlueDriver and BluePack use the same Bluetooth wireless technology found in all smartphones and tablets. Both devices have a 60-foot range and lip sync delay. This eliminates the need for a separate receiver. The BlueDriver series sends and receives audio from professional audio equipment. BlueDriver-F3 plugs directly into a dynamic mic or the mic level output from a mixing console. Then it is paired to Bluetooth-enabled wireless phone or headset. The 3.5 mm stereo jack contains a mic level output suitable for recording, with the clean mic signal on the left channel and the Bluetooth return on the right. BlueDriver-M3 plugs into the mic input channel of a mixer. Pair it to a Bluetooth equipped wireless phone or headset. The 3.5 mm jack will accept a signal from the headphone output of the mixer for transmission back to the wireless phone or headset. BluePack is pro-quality mic preamp that pairs to a wireless phone like a Bluetooth wireless headset. A 3.5 mm stereo line input jack allows recordings to be mixed into the broadcast. BluePack allows live man-on-the-street interviews through a cell phone equipped with Bluetooth Wireless Technology. This sleek belt pack provides a professional look and feel to field reporters and remote talent. All these devices work on smartphones using applications such as FilMiC Pro, LU-Smart, MoviePro and the Bluetooth audio widget.